Samsung Electronics Co. said Thursday that sales of a new gradient color edition of its Galaxy S9 smartphone will start this week, marking the first time such patterns have been applied on a flagship device. 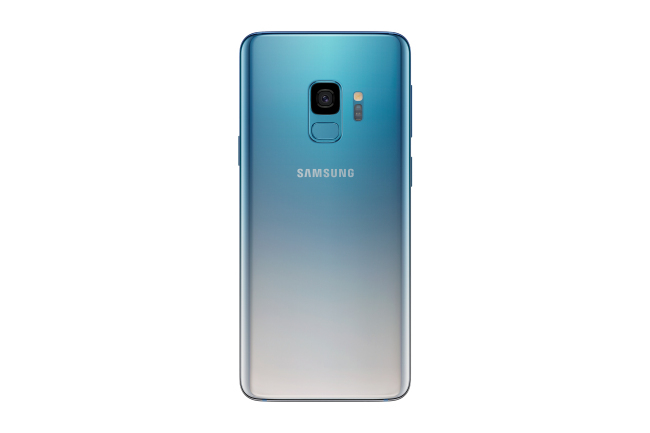 The company said the Polaris-blue edition of the Galaxy S9 combines silver and blue, providing users with a unique design. The new Galaxy S9 adds to the existing portfolio of black, blue, purple, red, and gold colors. The 64-GB edition of the Polaris-blue Galaxy S9 is available through South Korea's three mobile carriers or can be purchased unlocked with a price tag of 957,000 won ($845). Samsung said it will release more smartphones with unique designs down the road.